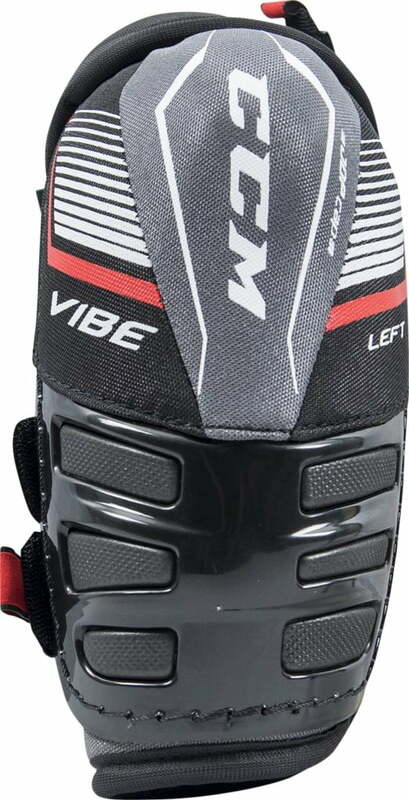 CCM Jetspeed Vibe Senior Elbow Pads (2018) | Sports Etc. FOREARM: Lightweight molded PE protection. Low profile slash protection. BICEP Floating bicep with exposed foam and PE inserts. Lightweight impact protection. 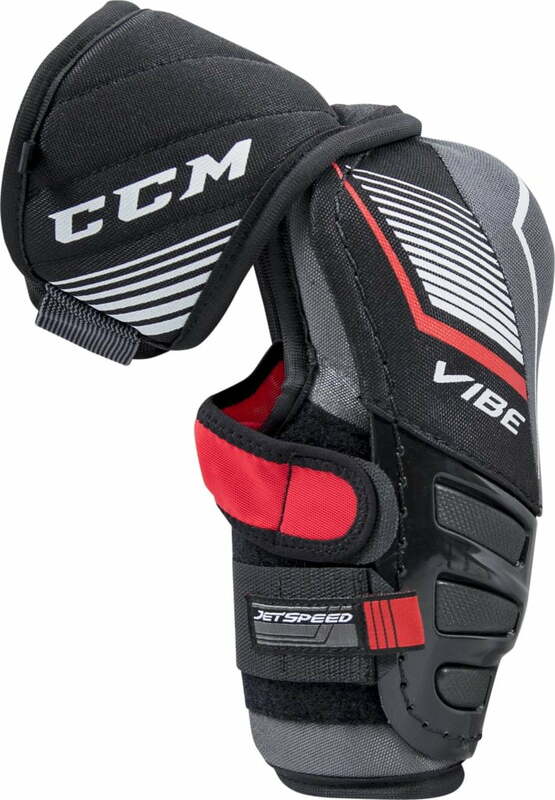 The CCM Vibe elbow pad is a Sports Etc exclusive, which is straight from the Jetspeed protection line. Low profile slash protection with exposed foam covering eliminates bulkiness and improves mobility. Lightweight, 3-strap system for fully customizable fit. Sports Etc Performance To Value Rating– 9 out of 10. One of our best value elbow pads. High-end protection at a low-level price. Tapered fit for extreme comfort and mobility.